So much of modern American cuisine comes out of French cooking that it’s hard to overstate its influence. Although we may think of the legendary chef and TV host Julia Child as an All-American chef, Child’s signature influences were from French cuisine and how it could be translated to fit the American home. On the other hand, we may have the impression that French cooking is only for the high-minded chef or that it’s too complicated to pull off regularly. Fortunately, we’ve got a recipe for you today that proves that this is simply not true. 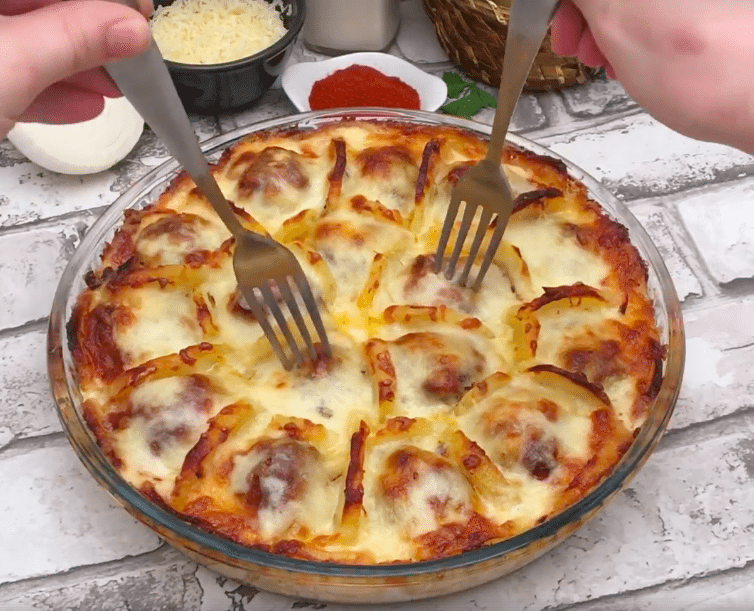 You may have never heard of this delicious recipe for Gratin Parmentier but it has gone hugely viral online. It includes many common ingredients combined in a creative way and once you make it, it’s sure to become a staple. Let’s get started! 1. 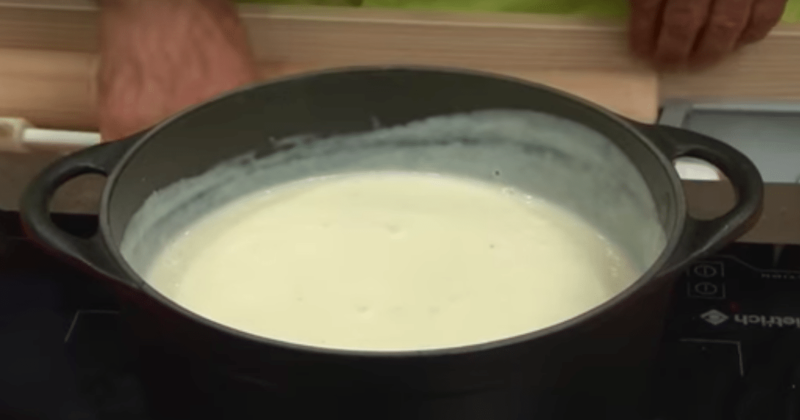 Before anything else, we’re going to make a basic béchamel sauce for use later in the recipe! 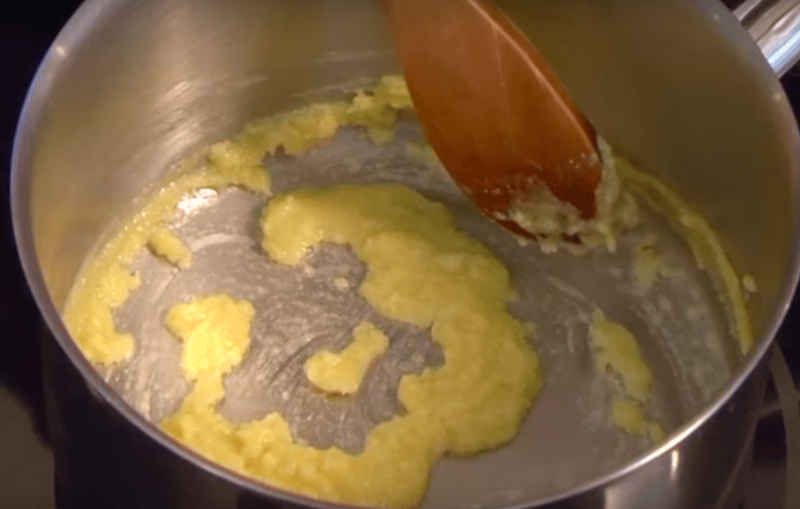 First, get a medium saucepan and melt your butter over medium-low heat. Add in flour and stir it all up until it gets smooth. Keep cooking your mixture until it all turns a light golden color, for about six or seven minutes. 2. In the meantime, heat your milk in a separate pan until it’s almost at a boil. Once it’s hot enough, gradually add your hot milk one cup at a time to the butter, continually whisking the entire time until it’s smooth. Once all the milk is incorporated, bring the whole thing to a boil and cook for 10 minutes, stirring it constantly. Season it at the end with salt and nutmeg and you’re good to go! 3. Now that your sauce is ready, preheat your oven to 400 degrees. 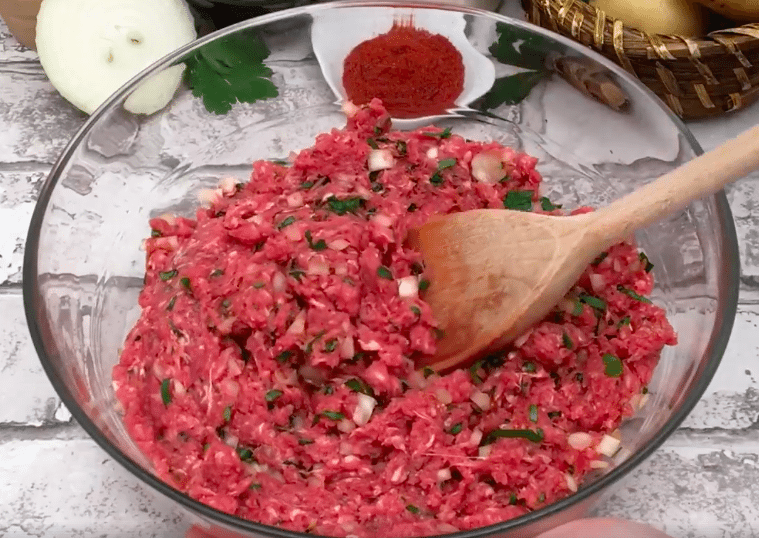 Next, get a big bowl and throw in your package of beef along with your chopped parsley and paprika. Add a little bit of salt and pepper as well. Once all the ingredients are together, mix together all the ingredients until they’re evenly combined. 4. Next, peel three potatoes and boil them until they’re semi-soft, around seven minutes. 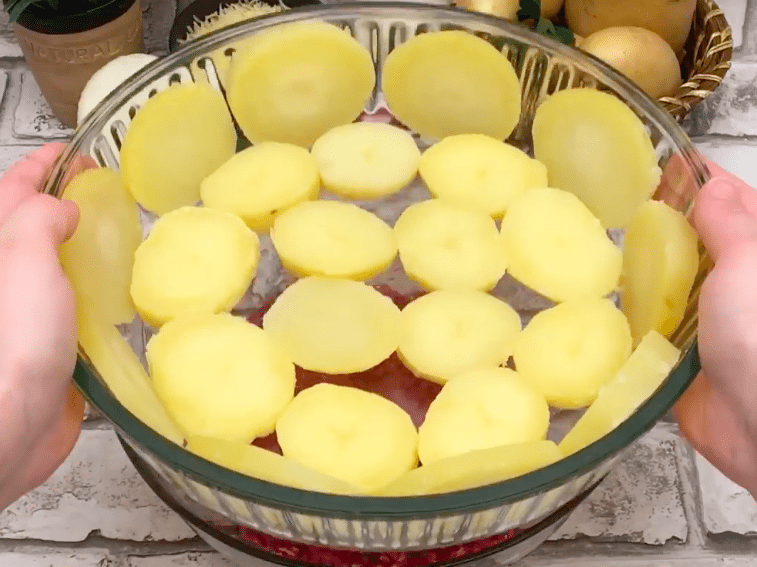 Once they’re ready, take them out and chop them into slices, arranging them around the bottom of a round glass baking dish. Lay one layer flat on the bottom and arrange another layer around the sides as well. 5. 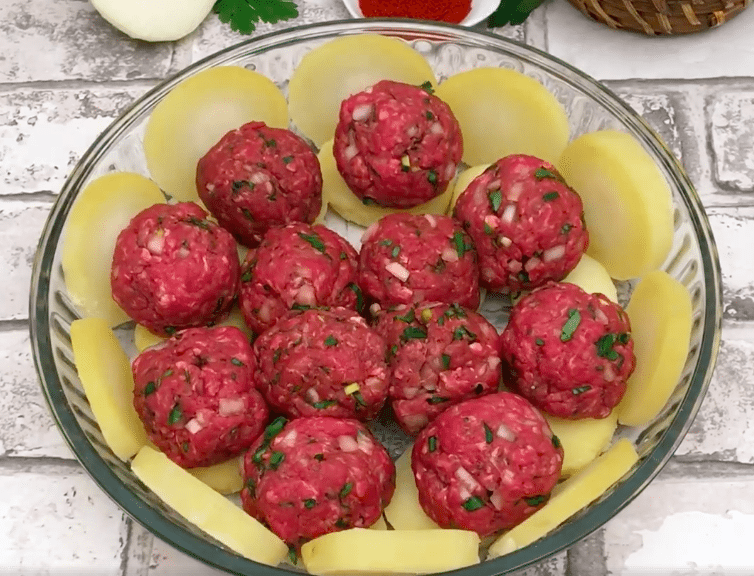 After that, get your meat mixture and work it into ice cream scoop-sized meatballs—the entire thing should form about 15 meatballs. Next, arrange them on your slices of potato that you laid out earlier. 6. 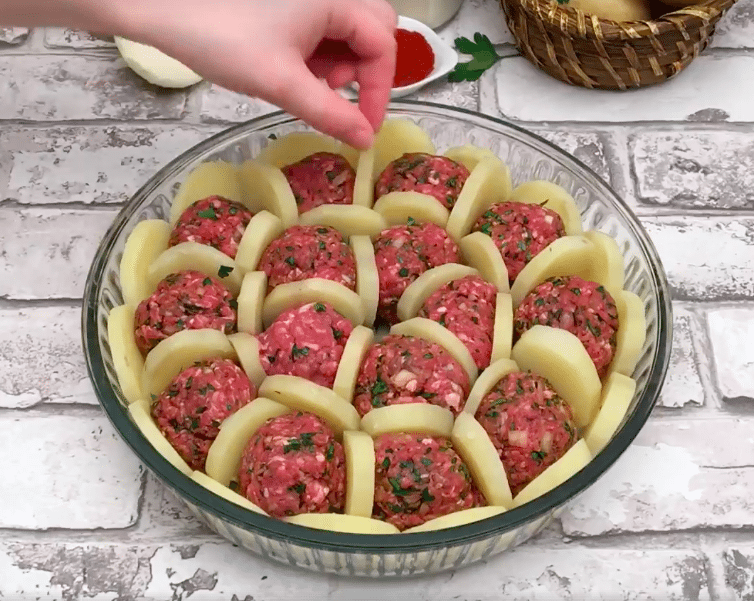 Once you’ve got your meatballs placed together, use your remaining slices of potato to put walls between the meatballs so each one has its own compartment. Pour your béchamel sauce into each one of the “compartments” until it’s relatively full and top the entire thing with a thin layer of shredded mozzarella. 7. Finally, throw the entire dish in your preheated oven for 15 minutes. Once it’s done, you’ll have a deliciously cheesy and creamy French casserole-style dish that the whole family will love! As you can see, this recipe is very straightforward and offers nothing not to like. Still, we warn you: once you make this once, you’re going to keep coming back to it. Enjoy!